I’m a very digital focused individual but that doesn’t mean I don’t like great thoughtful offline user experience. 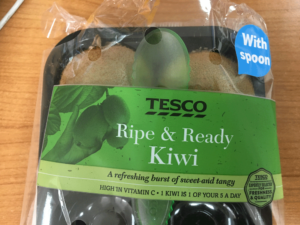 Today with the sun out I fancied something summer-like, so whilst browsing the local Tesco Express for some fruit inspiration my eye was attracted to four ‘Ripe & Ready Kiwi’. I paid at one of the annoyingly not quick, self-service checkouts, popped the 4 kiwi’s in my bag and on to work. 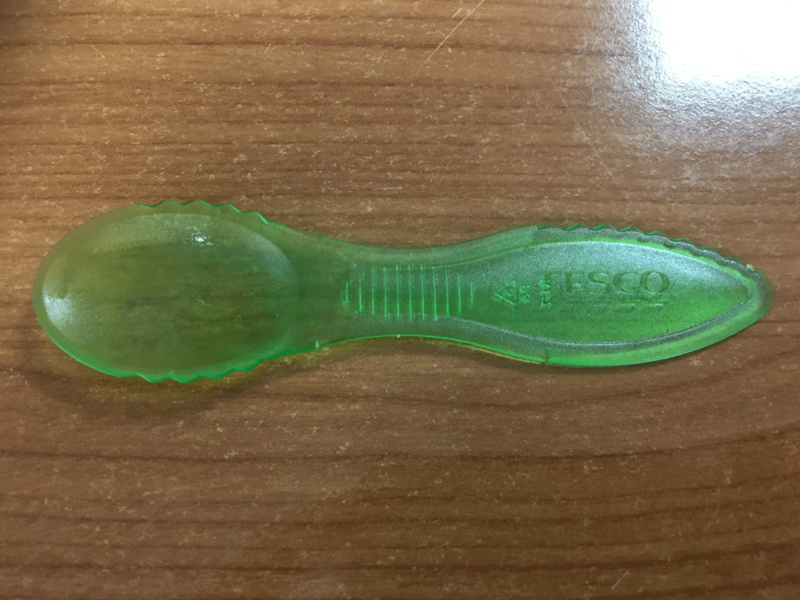 Arriving at work, I duly opened the packed and to my surprise the was a Spofe or is it called a Knoop, Tesco’s just call it a spoon. 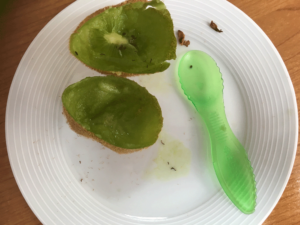 Awesome, no need to dirty a knife and then find a decent spoon to eat it with. Hold on hold on. “I bet this doesn’t even work well!” I say to myself, but I give it a go anyhow. OK OK, so the knife works! And works really well. Is the spoon going to be as good? I’ll let my next picture below tell that story. One satisfied customer… almost. 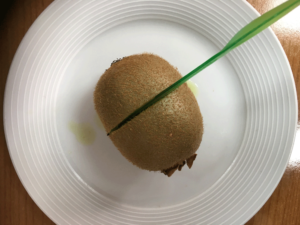 Tesco, could you please supply a napkin too, as those Kiwi’s are Ripe, Ready and lovely and juicy.